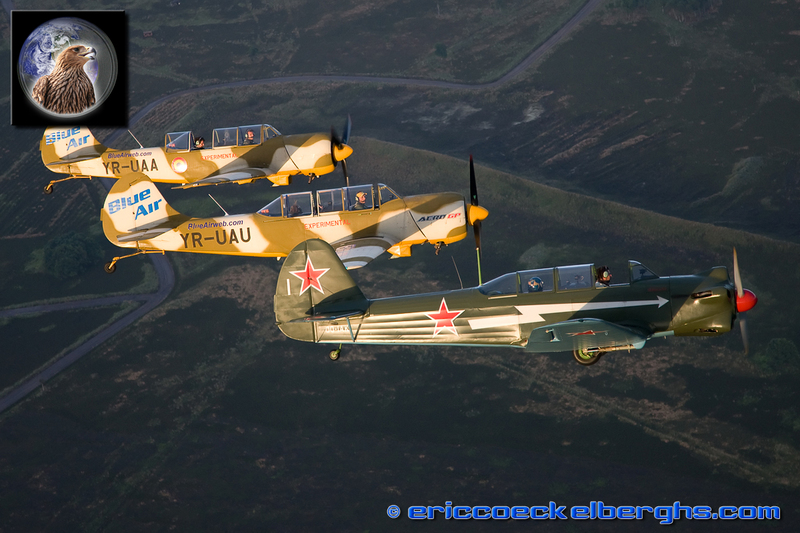 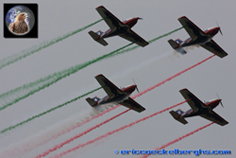 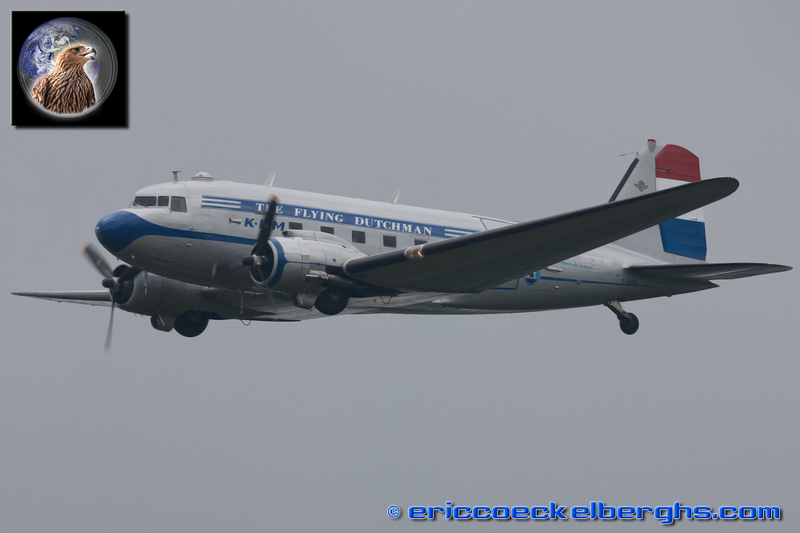 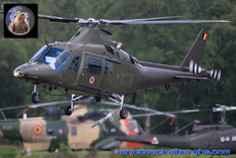 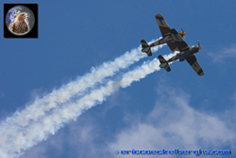 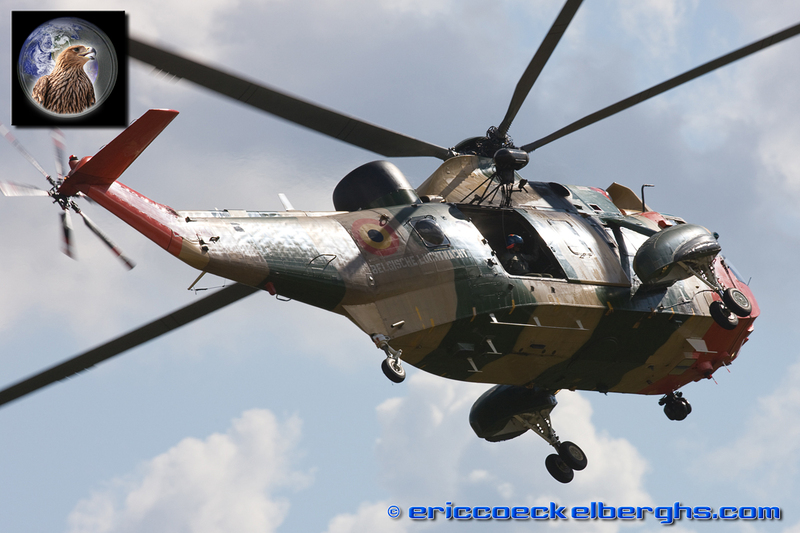 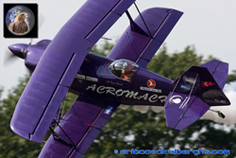 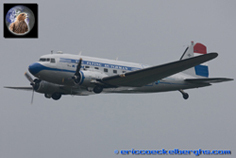 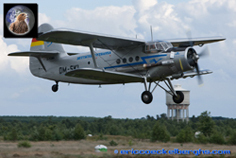 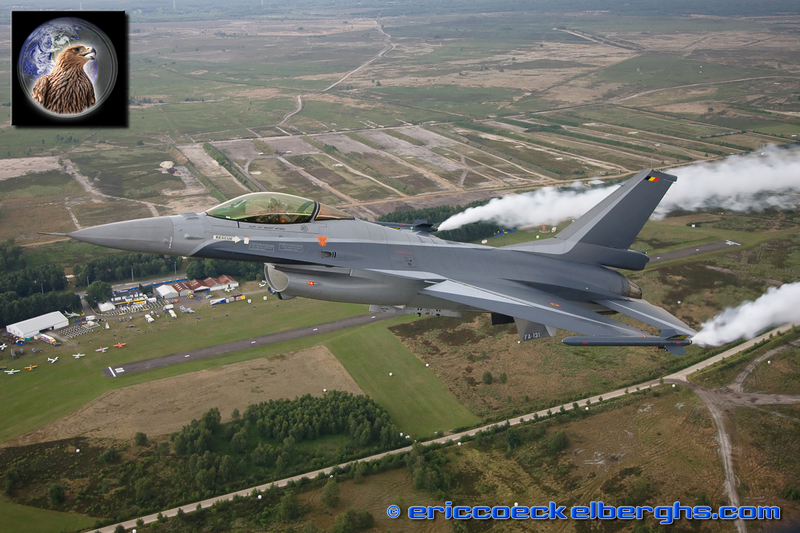 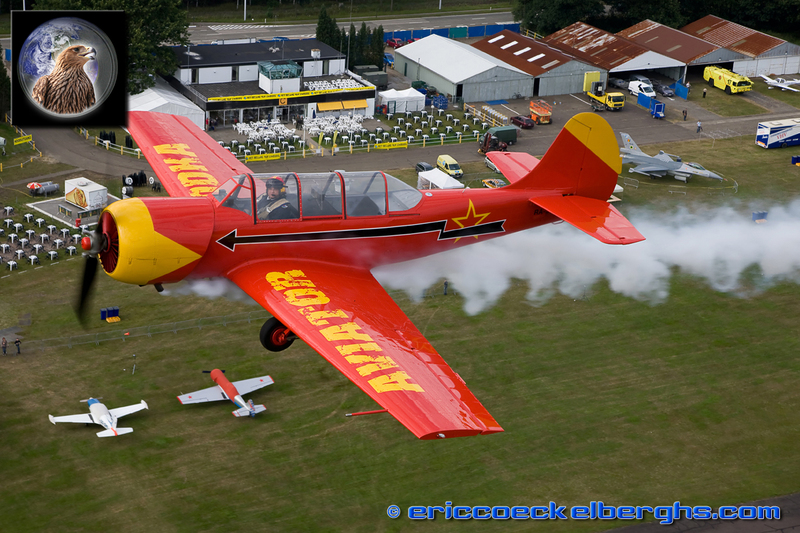 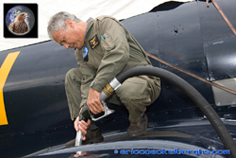 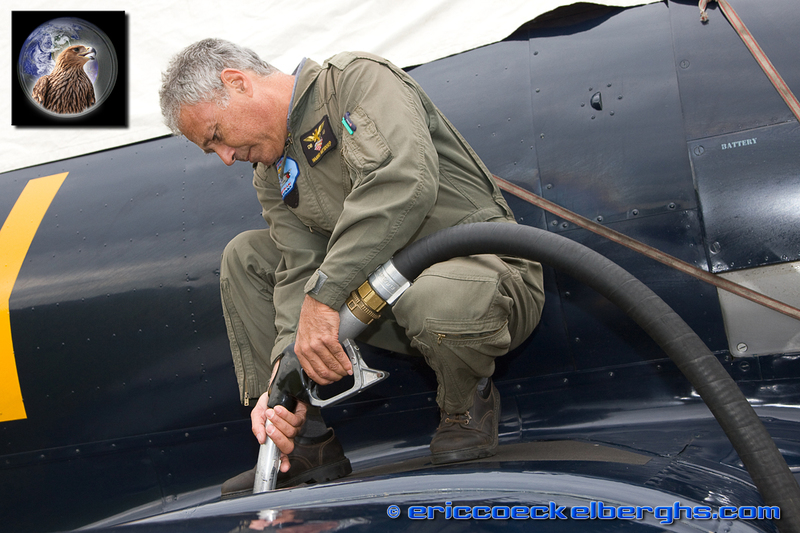 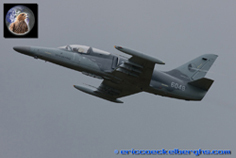 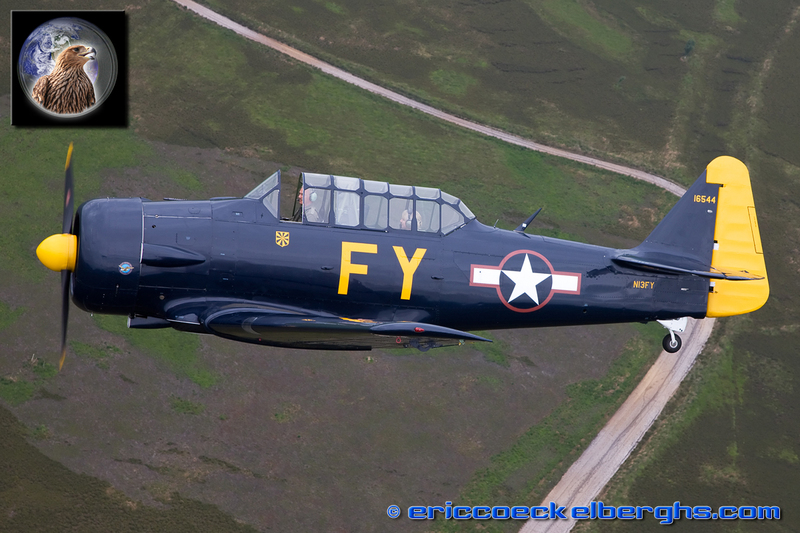 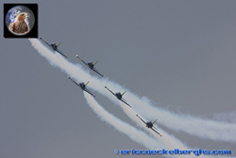 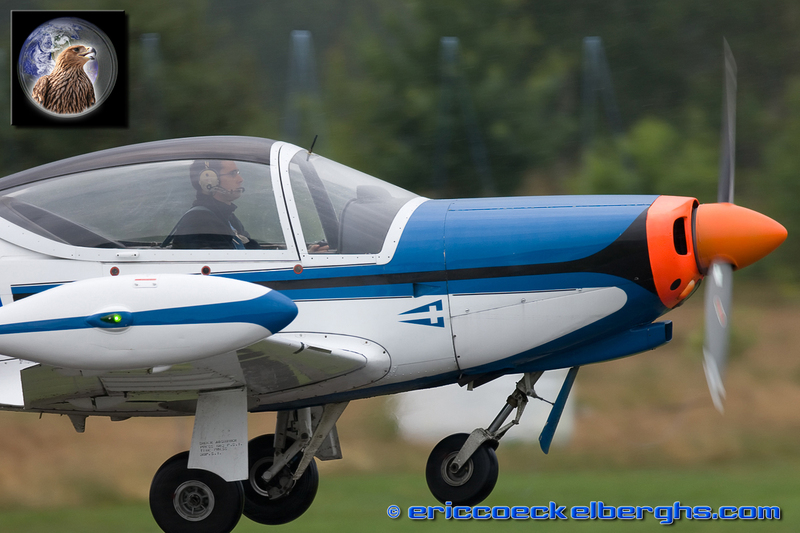 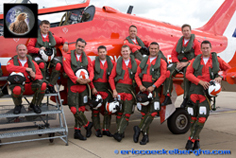 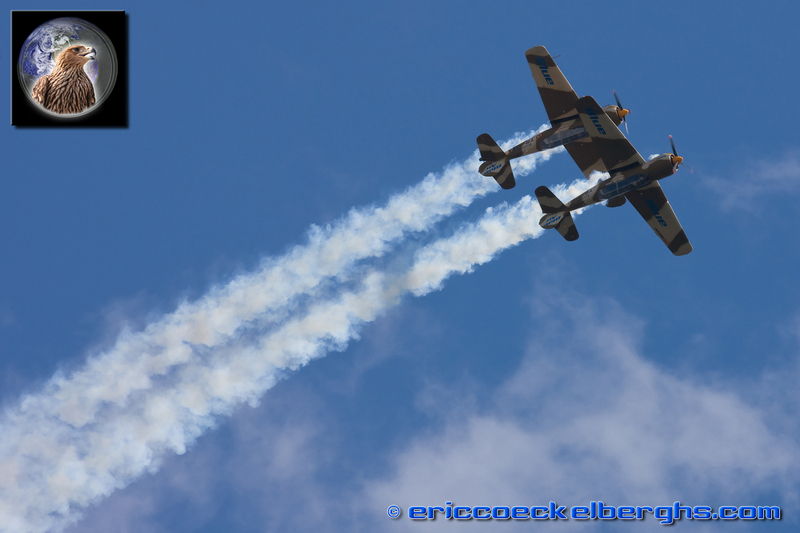 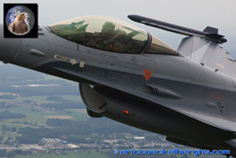 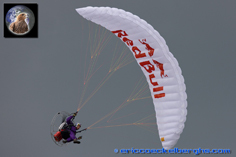 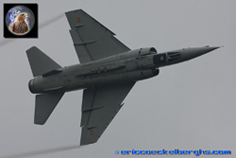 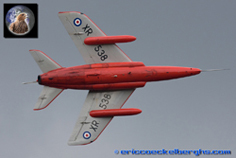 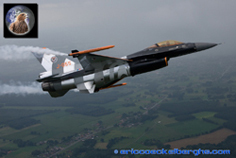 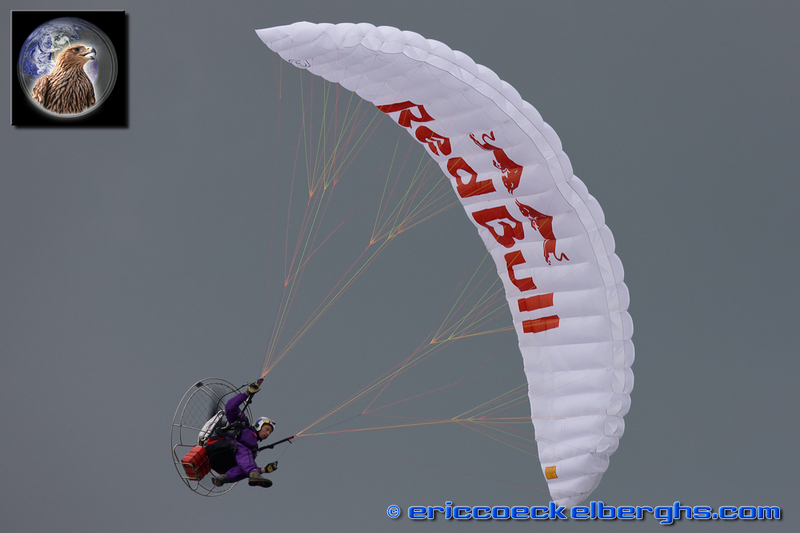 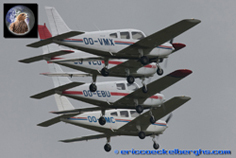 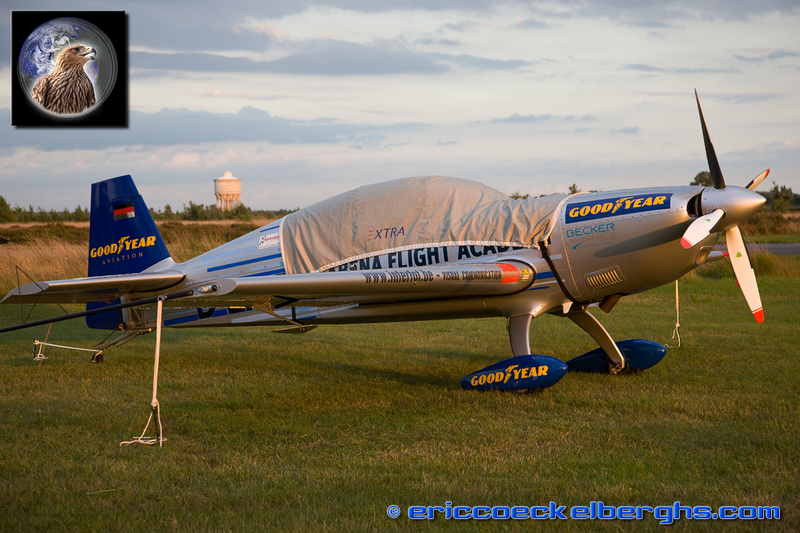 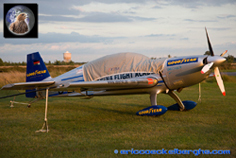 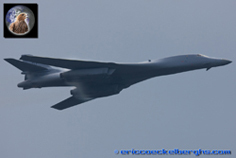 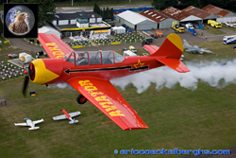 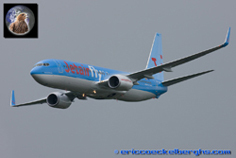 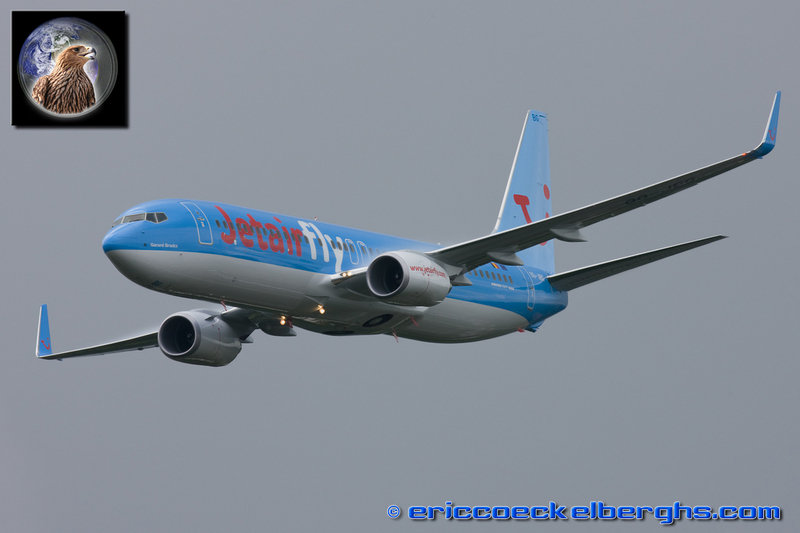 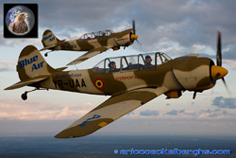 Traditionally we also organise the photoflights in the days for the airshow. 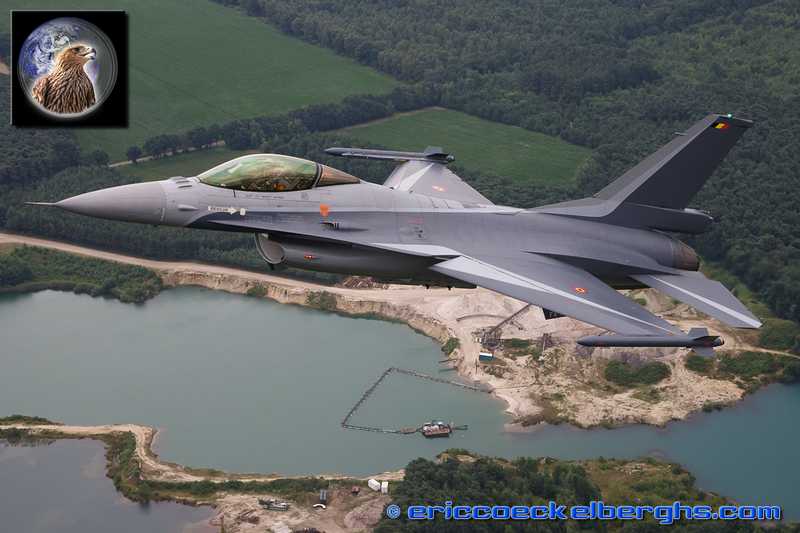 As we need good and special photographs for the annual photobook we produce, it's one of the many highlights in my 'photoseason' Mickey and his Belgian F-16 provided us with the first iconic images, and one of this pictures was used to grace the cover of our book. 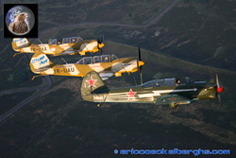 We have two famous photopilots, our homebased Jerome Van Der Schaar and his flamboyant red Yak-52, and Hanno Wesdorp who flew his T-6 Texan along the Belgian F-16. 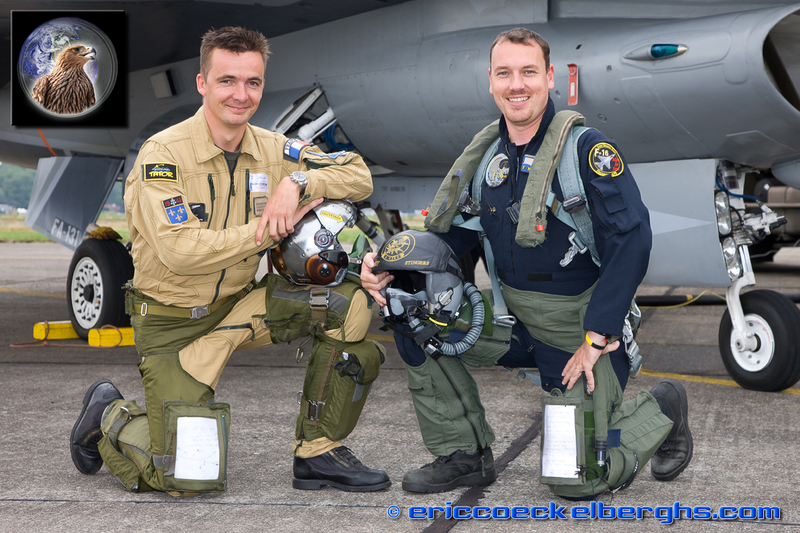 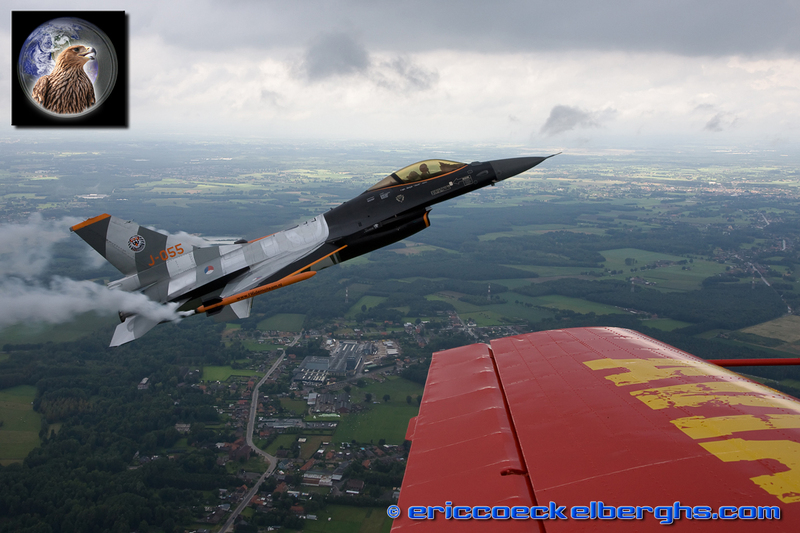 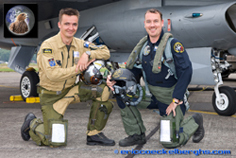 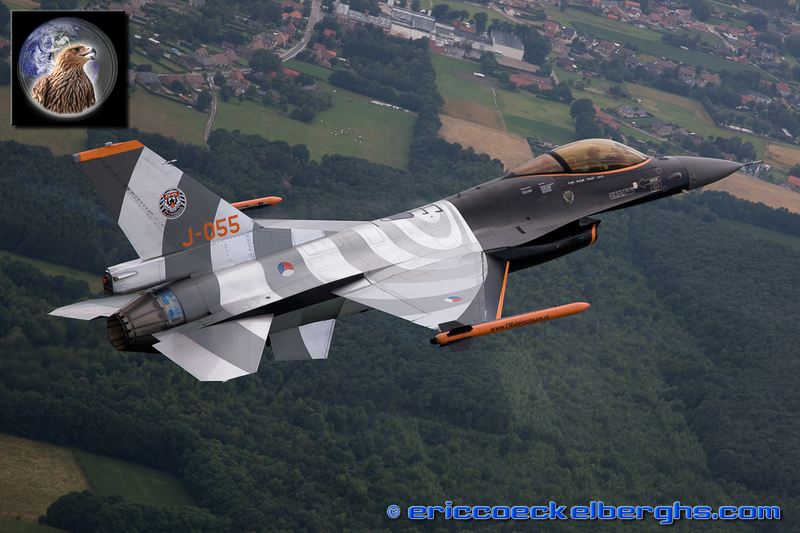 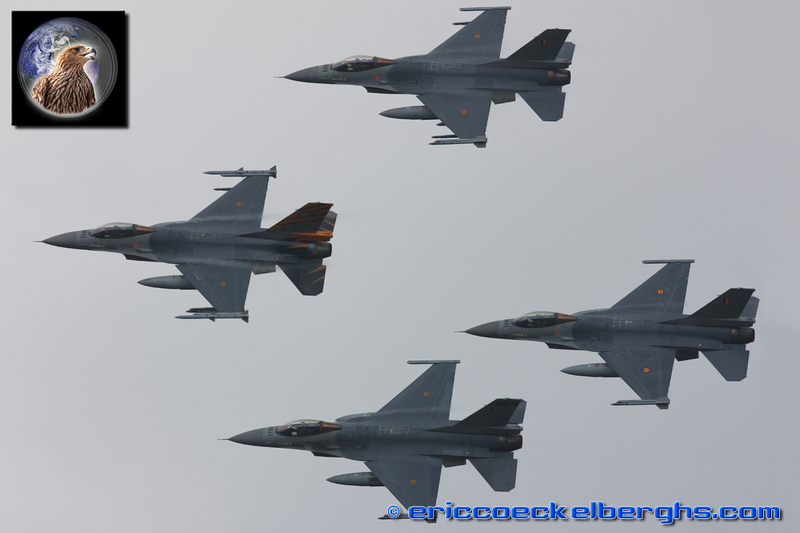 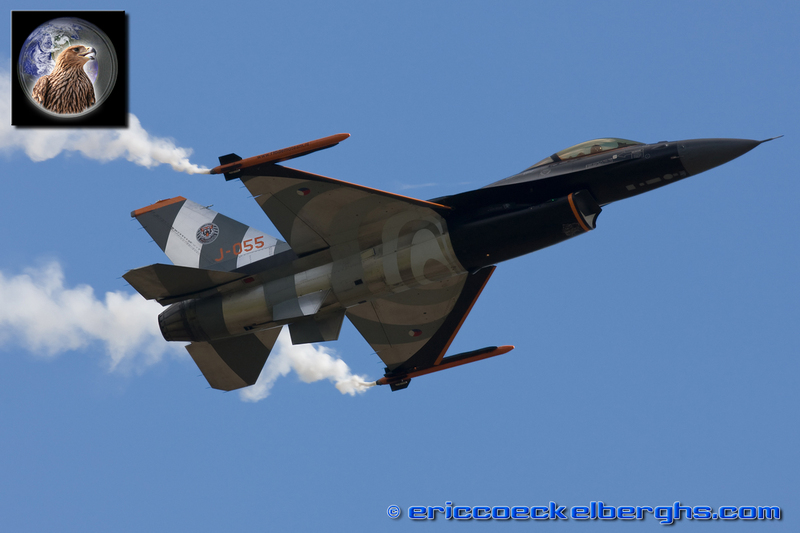 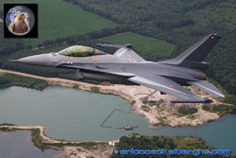 Jerome had his personal wish come true when we had the unique opportunity to fly formation with his good friend 'Sheik', the demopilot for the Dutch F-16. 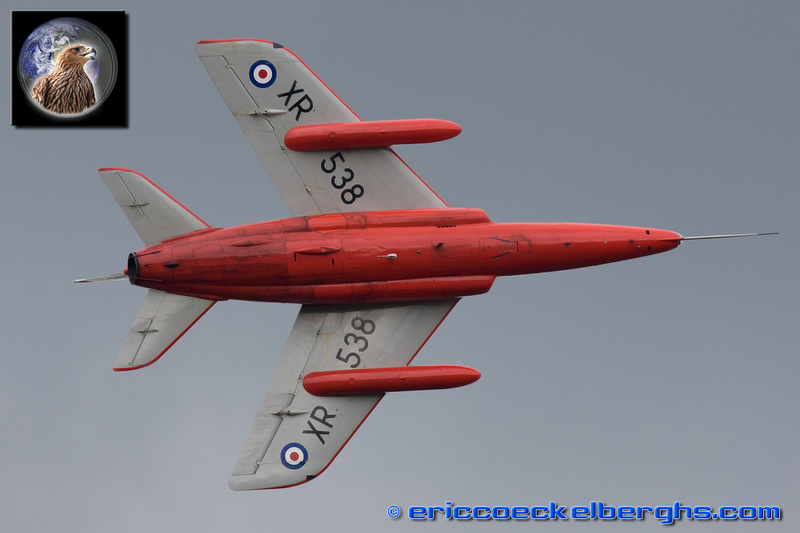 The weather was pretty awfull, but the dark skies gave a nice contrast. 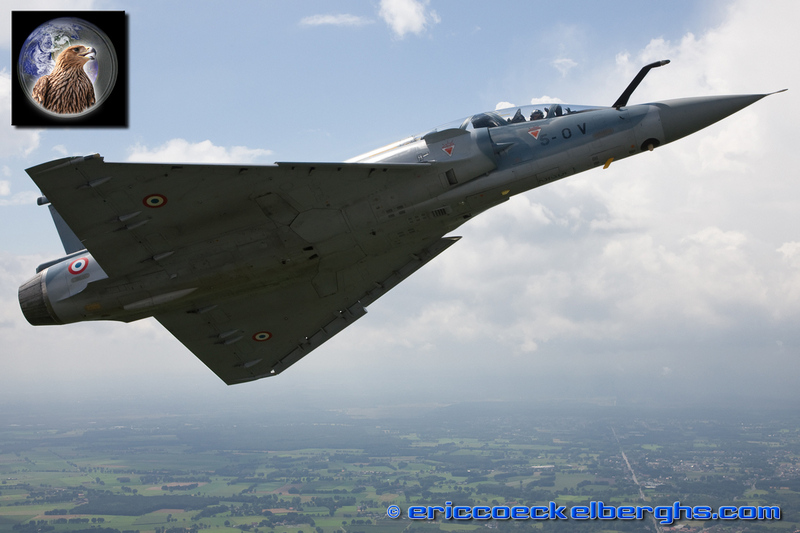 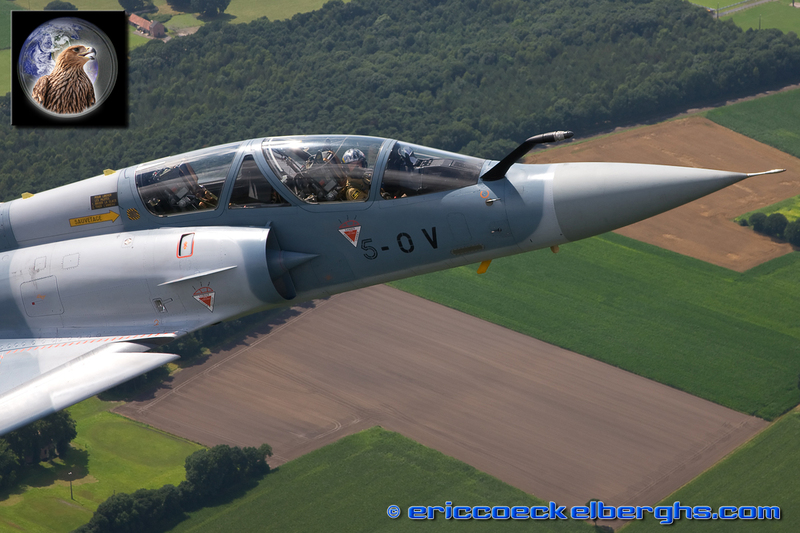 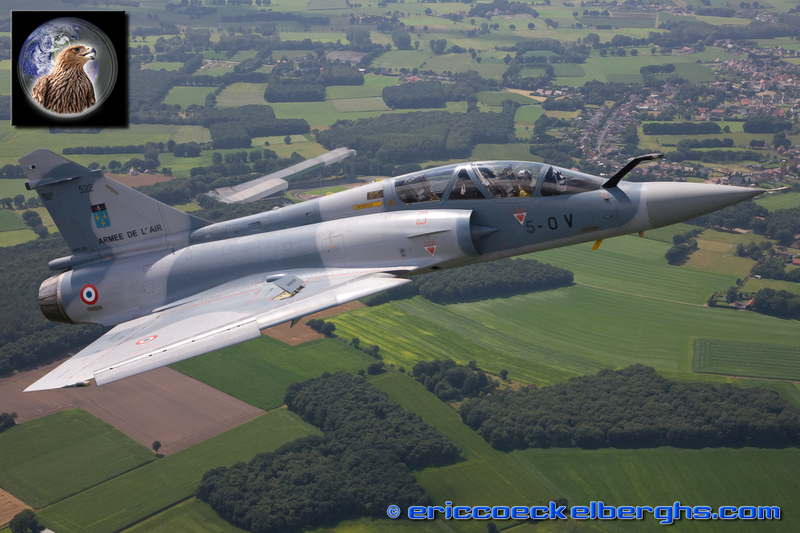 And only 10 minutes later we had another great momentum with 'Ralloch' and his powerfull Mirage 2000. 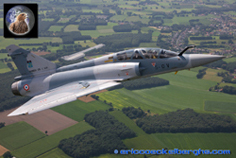 This was the first and last chance to capture his bird in the sky, as it is the very last demoseason for the pretty deltawing! On the showday the weather was pretty much hell with lots of rain and low clouds. 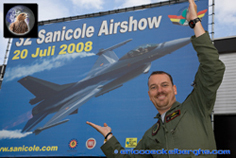 But Sanicole enjoys a very loyal public and our attendance was bigger then ever before!! 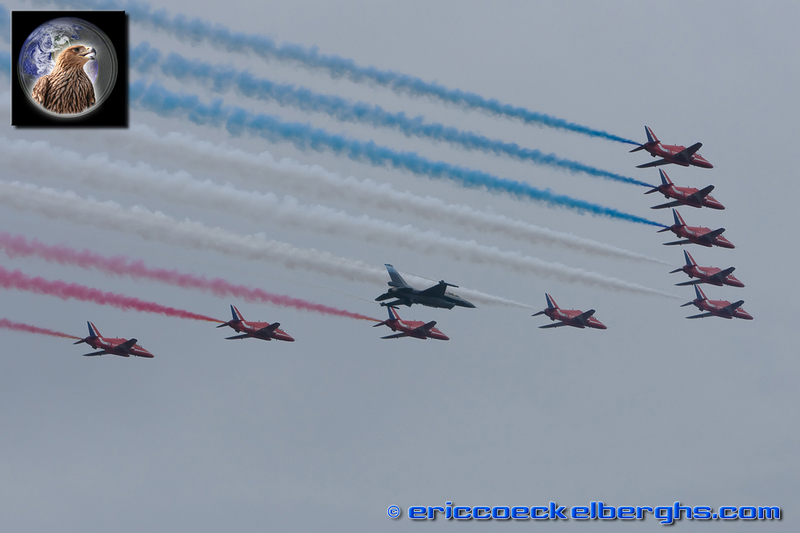 The Red Arrows did open the show, but they were forced into the falt show, and then only a few passes because it didn't stop raining. 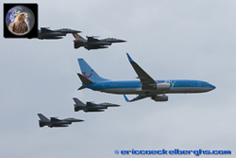 But they really made up for it with the special formation with Mickey and his F-16. 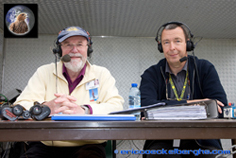 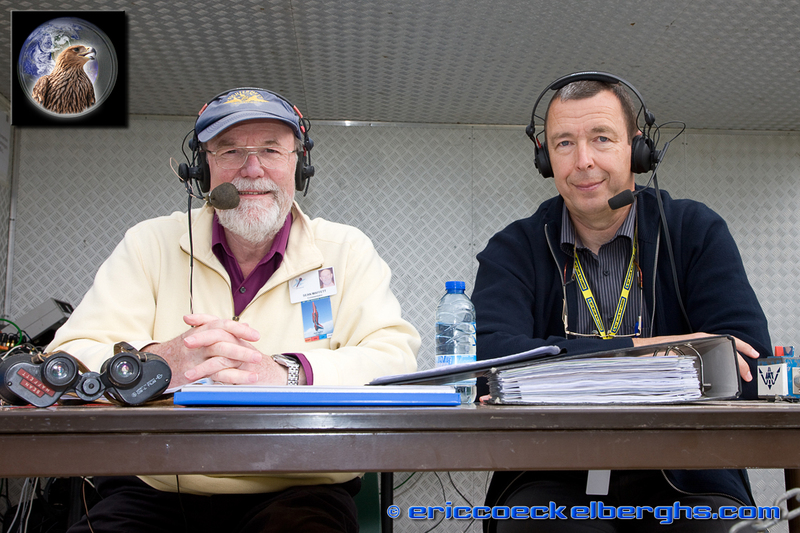 Its was also the first year that we had two commentators; Chris Christians for our Dutch and French spectators and Sean Moffet for our increasing English speaking public. 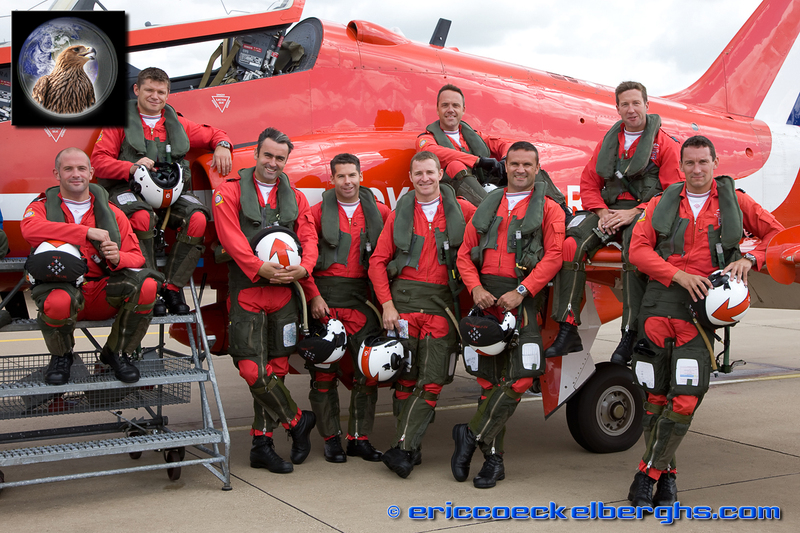 On occasion we did have some sunshine...just in between the showers! 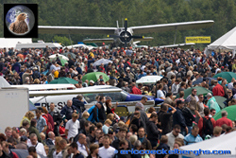 All of the participants tried very hard to give the public a flight performance, and not a single display had to be cancelled. 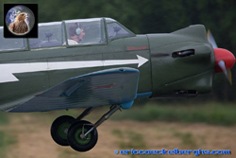 The SF-260 Marchetti is flown by display director Geoffrey Buekenberghs, from France we had the DC-3 and the Victors are a Belgian formation flying team. 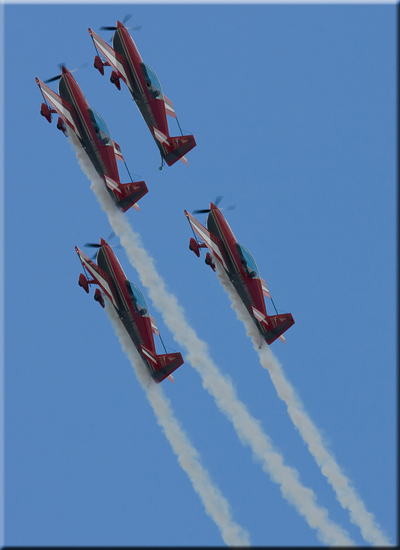 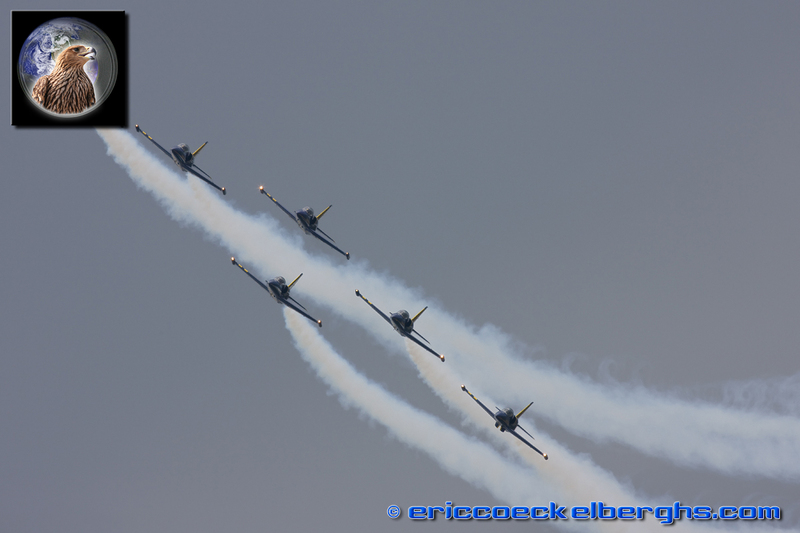 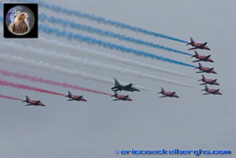 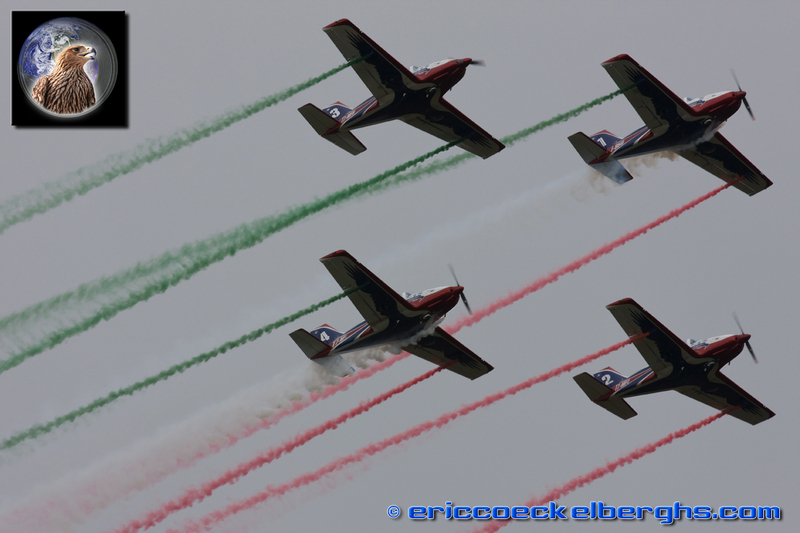 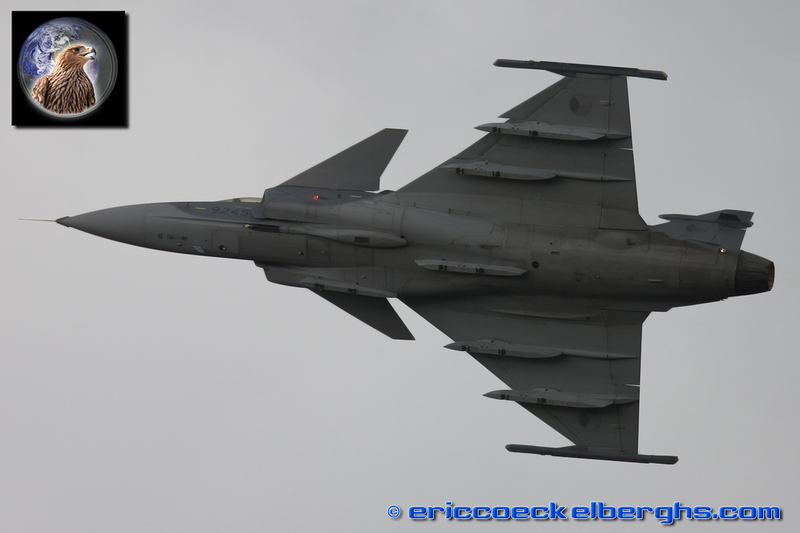 The Pioneer Team from Italy was another premiere for Belgium, I'm sure they are used to a lot more blue in the sky! Sanicole is also wellknown for 'unusual' airshowacts, this time the public was surprised by the interception of a real airliner. 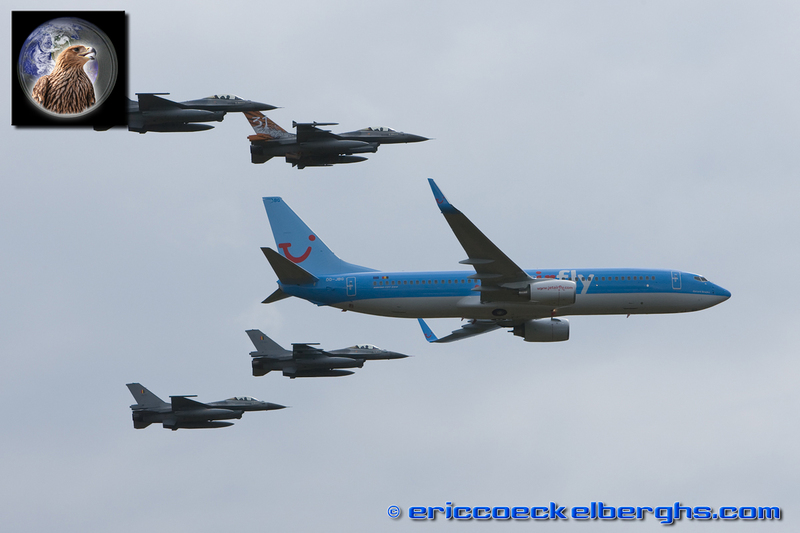 Much to everyones delight the 4 F-16's flew a formation pass with the Boeing 737, that sure is something you don't get to see every day! 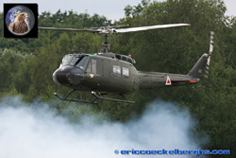 A taste of the Vietnam era was presented by the Huey. 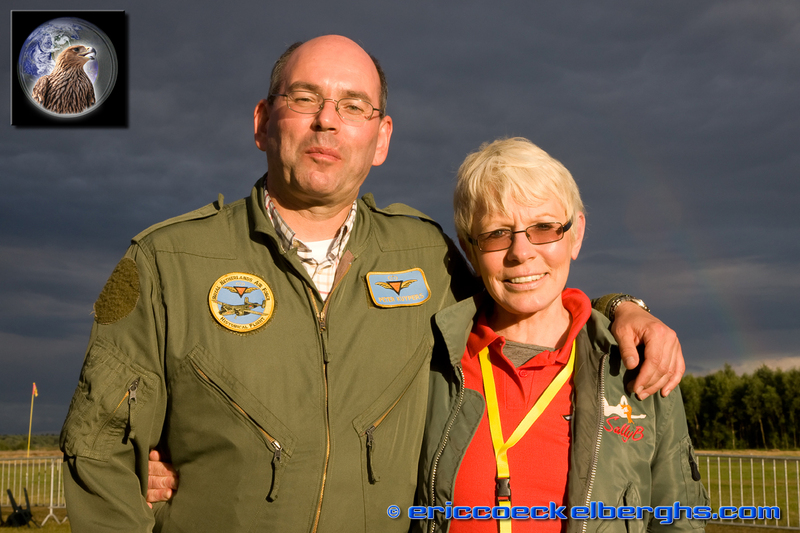 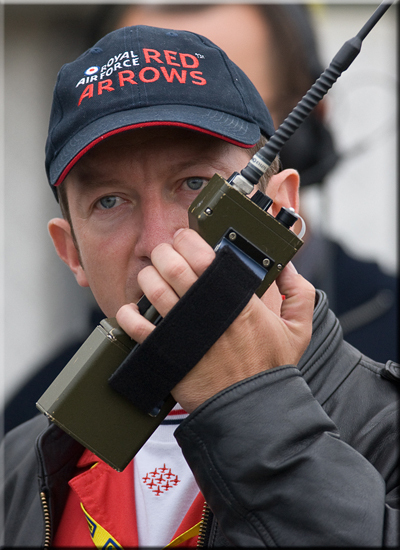 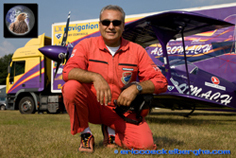 Jaques Botelin and his Breitling Team are also long time friends of the airshow. 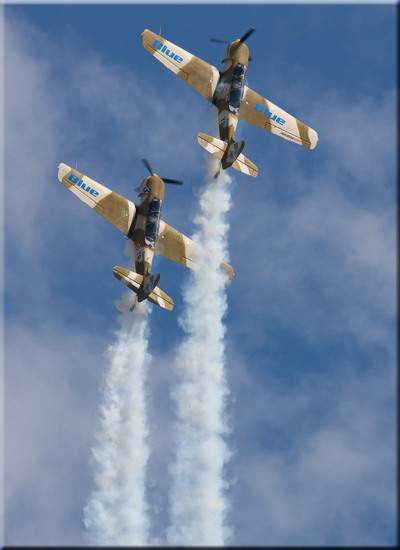 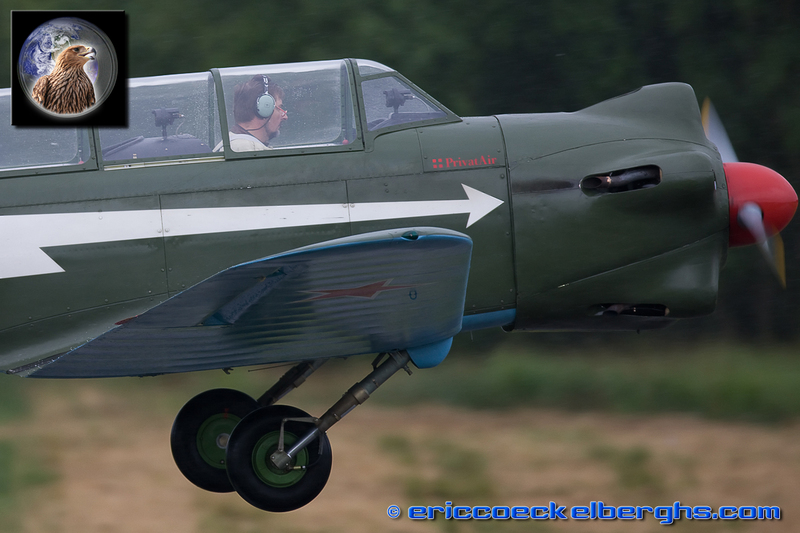 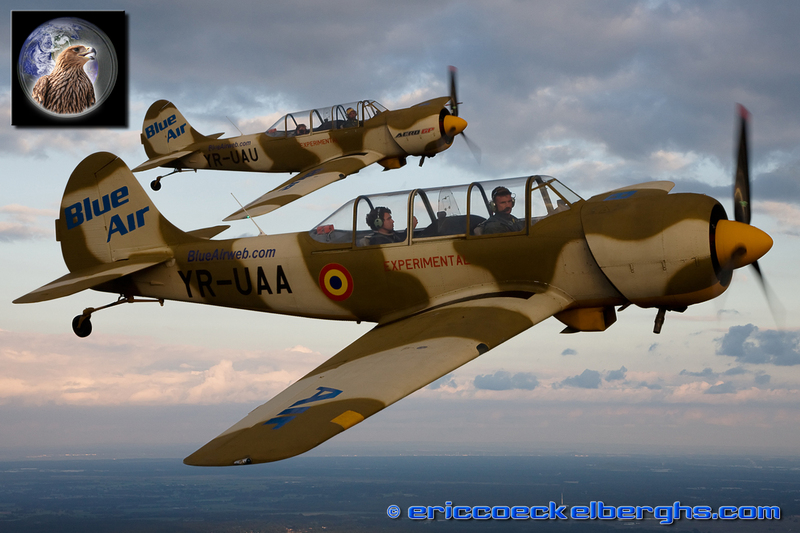 One of the best performers of the show, and yet another premiere, was the Romanian team on their special Yak-52's. 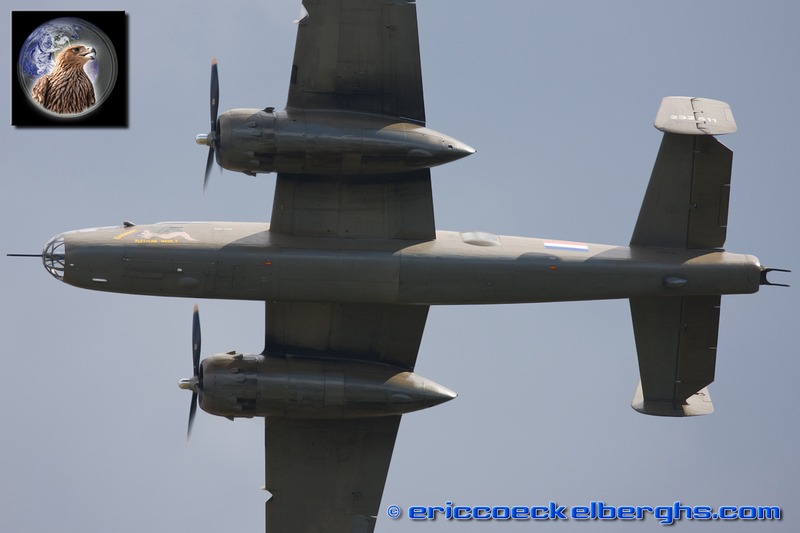 From the USAF we had the pleasure of welcoming the mighty B-1 again, while the Dutch Airforce surprised us with an unannouced heritage flight of the B-25 Mitchell and F-16. 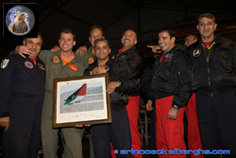 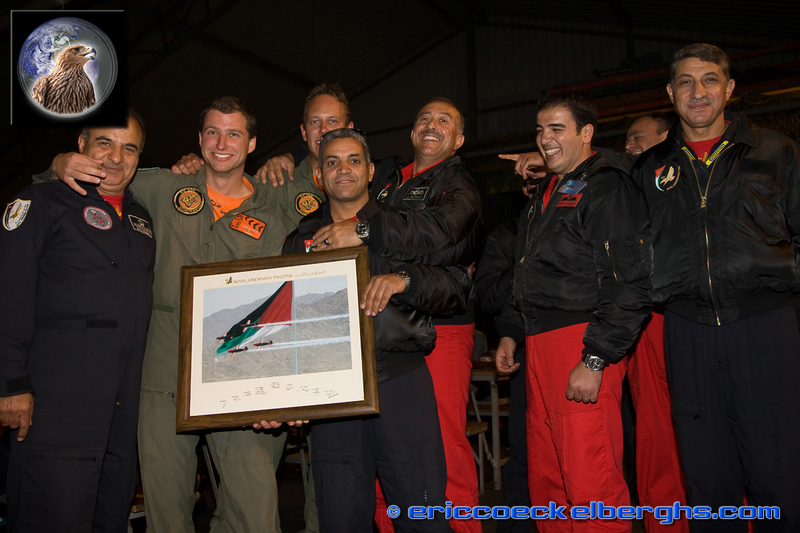 Longtime friends the Royal Jordanian Falcons consider the Sanicole airshow a not to miss event,and our good old Seaking is another performer very appreciated by the public. 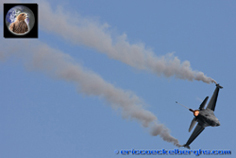 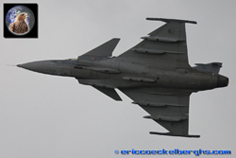 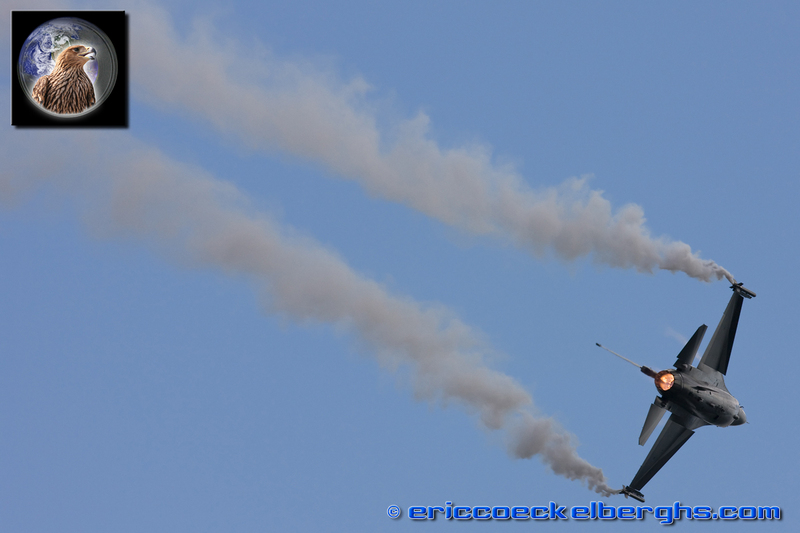 The afterburners of the Mirage 2000 and F-16 closed the 32nd airshow. 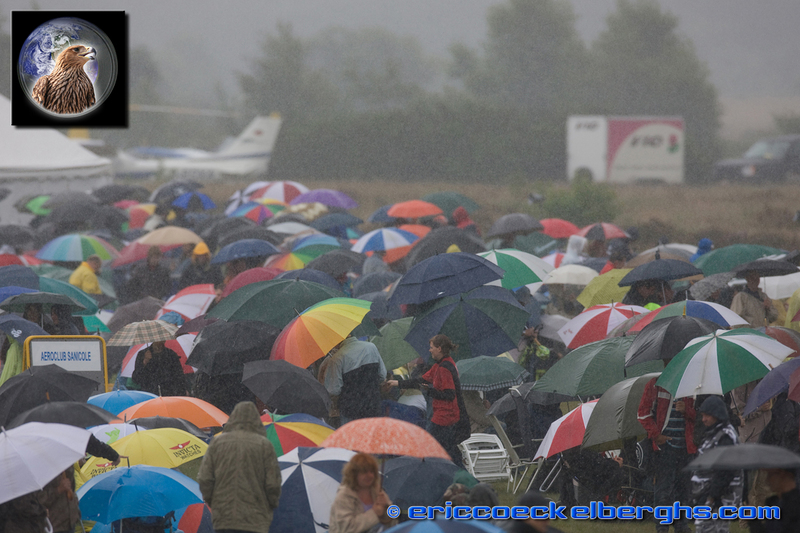 Despite the bad weather Sanicole proved once again why its name gained the well deserved fame across the globe. 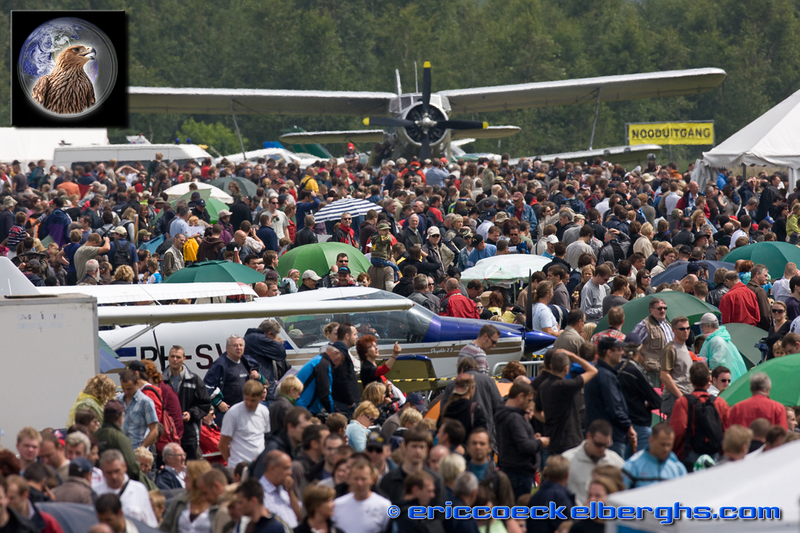 On the 20th september 2009 the 33rd edition is scheduled. 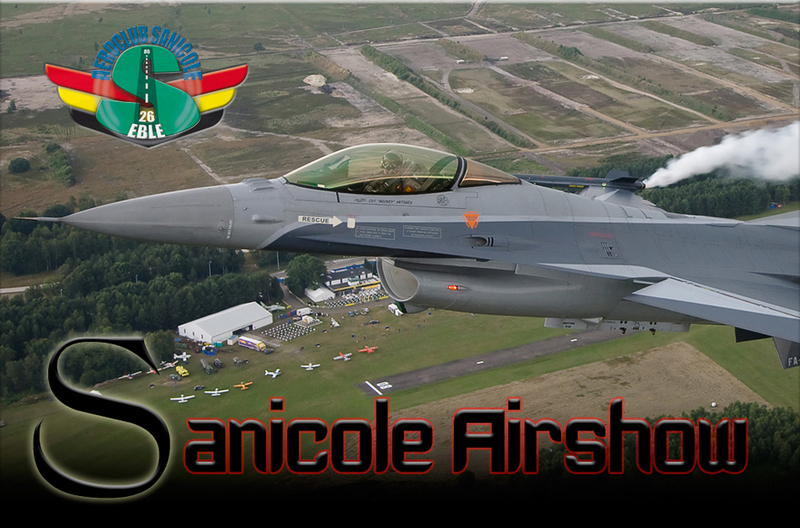 It will be the first event in the new timeframe and will be called Sanicole 'TIGER' Airshow, in co-orporation with the legendary Tigermeet that takes place at the nearby KB airbase.